This property along the French Broad River is an opportunity to honor the unique juxtaposition of history, industry and natural environment. The overall vision is to transform the property into a creative campus of dynamic, regenerative and productive spaces that elevate the experience of tenants and the ecological health of the property. 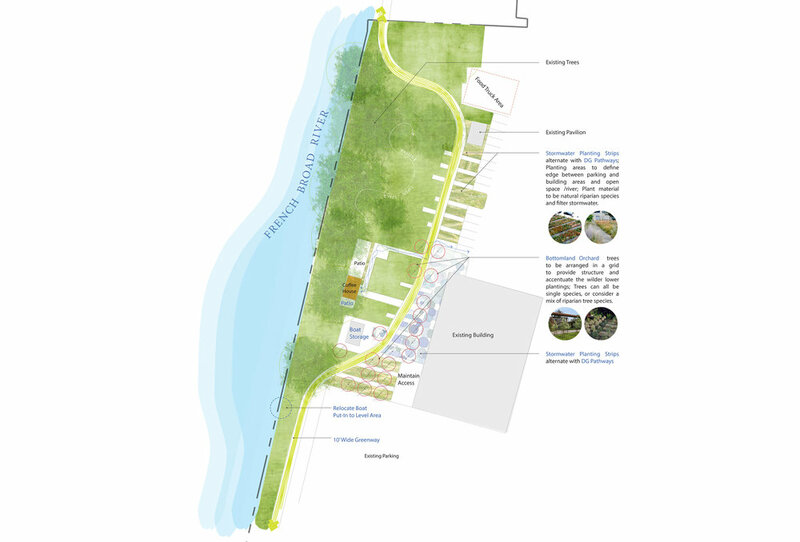 Our first steps include small but important gestures of how to reconcile industrial, riparian and civic space along the French Broad River in a way that facilitates the connection between people and place. 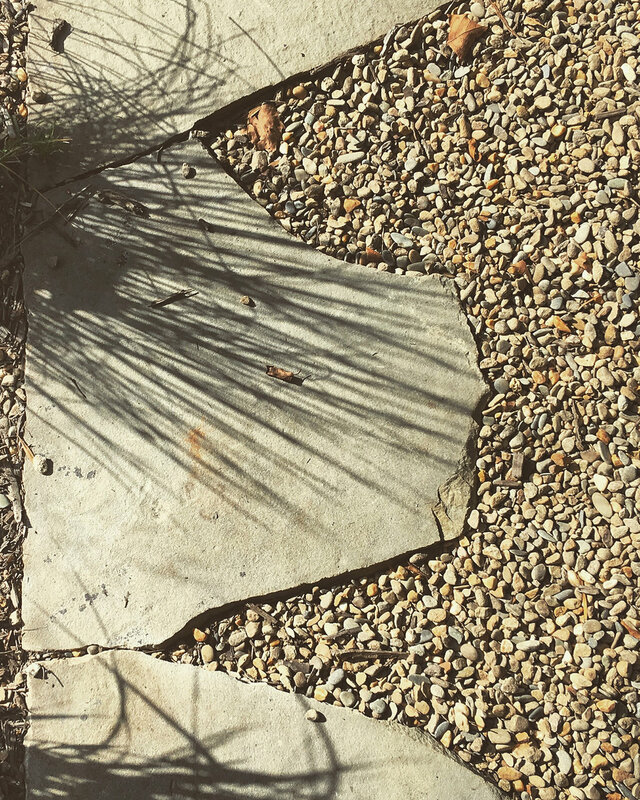 For example, a patio adjacent to the coffeehouse was created to be not only comfortable to use and beautiful to look at but also ecologically resilient and expressive of its place in the world. Materials were locally sourced or repurposed from other uses. Plants are reflective of riparian environments and western North Carolina.